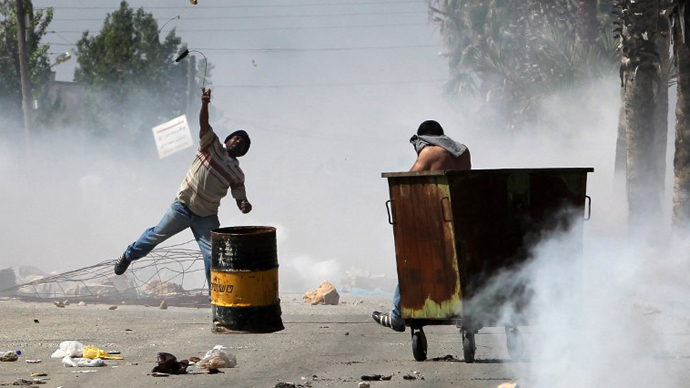 Israeli soldiers took to tear gas in order to disperse a protest in the occupied West Bank. 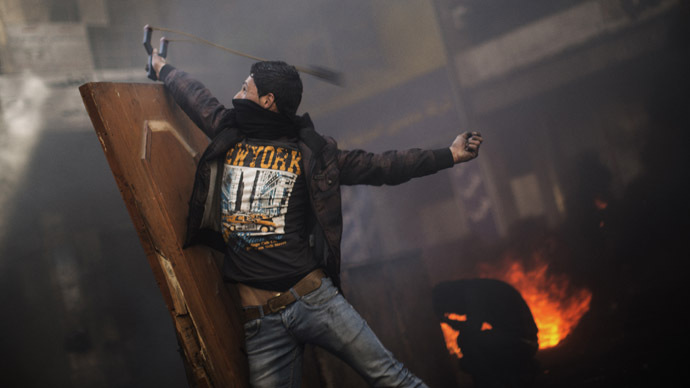 Scores of Palestinian youths clashed with soldiers, protesting the brutal beating of a 60-year-old former judge. 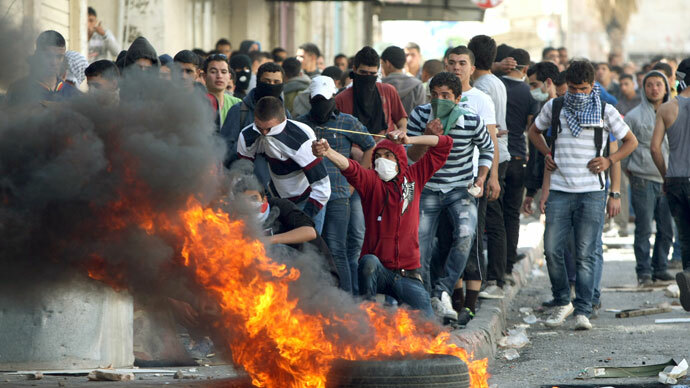 The youths set tires on fire and threw rocks at Israeli soldiers, which used teargas to disperse the protesters. 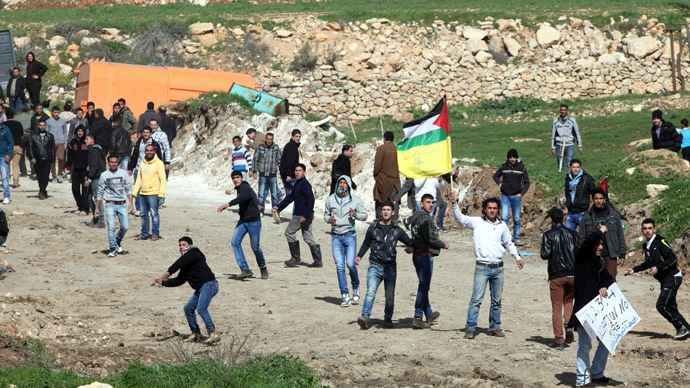 Violence erupted after Friday prayers in Silwa as hundreds of village men streamed past Israeli troops who tried to block their path. The Palestinians gathered in al-Zir's apricot grove in protest. “Our land, its stones and its soil, is our right. Sleeping on it by night and tending to it by day, without fear of attacks by hateful settlers, is a matter of our very existence,” the local imam told the worshipers at Friday prayers. The outrage was sparked by the brutal beating of a 60-year-old former judge Ahmad al-Zir. Israelis allegedly attacked him with steel pipes as the man was tending his land between the Ofra settlement and the Palestinian village of Silwad on Thursday. “They were hitting him again and again on the head, cursing him and telling him to shut up,” said Mahmoud Hussein, a relative and an eyewitness of the alleged attack Reuters reports. Village youths tracked down the Israelis to their encampment and burned down one of their improvised homes. 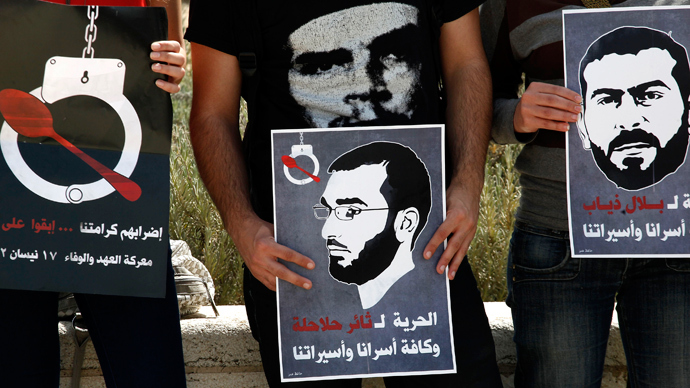 Israeli forces were sent to the scene late Thursday to disperse the angered Palestinians. They fired at the protesters, wounding two with live bullets, including one in the chest, medics said. IDF officials have described the incident as a “clash between Israeli and Palestinian civilians.” The alleged beating is under investigation, said an Israeli army spokesperson. Meanwhile, dozens of Palestinians suffered tear-gas inhalation during clashes near Mount Hebron in the West Bank after the Israeli troops attacked a weekly march against the closure of the road link between Hebron and its southern villages, the march coordinator told Ma’an. At least one person was reportedly struck by a tear-gas canister. The escalation comes amid disputes over the Israeli settlements in the occupied West Bank where Palestinian youths frequently hurl stones at settlers' cars and Israeli soldiers. There are some 120 official settlements, such as Ofra, and also more than 100 built without official authorization in the West Bank.